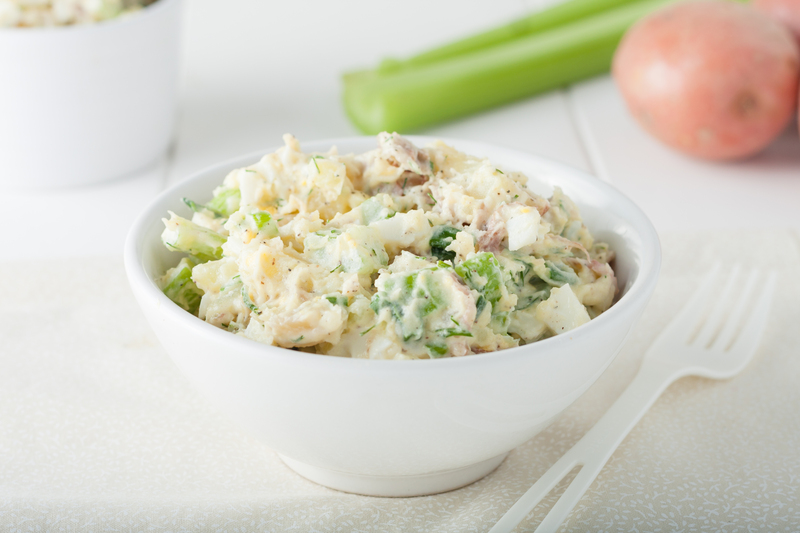 A great low-carb alternative to an all-time summer favorite. Cook the cauliflower until soft, but not mushy; drain well. Cool, then cut in small pieces. Mix the mustard with the mayonnaise, then mix all ingredients into the cauliflower. Chill at least 2 hours..